Hi everyone. After one successful GSoC a year ago, I'm going to work with Amarok again in one more GSoC. My proposal objectives are harder than last year's, though I'm also more experienced with Amarok and its associated technologies. Tomahawk is a cross platform, open source social media player that allows users to share music seamlessly and listen to it anytime, anywhere. Specifically, one of the key features of Tomahawk is the ability to connect to other's music collections. Will this service be compatible with Tomahawk? Certainly, I'm taking all the precautions to maintain compatibility with Tomahawk network protocol. How much time do I have to wait to see this service in Amarok's master branch? The "pencils down" date is on August 20, so probably after three weeks at the very most. By the way, I want to congratulate the other four Brazilians that were accepted to work with KDE in this GSoC. Two of them study in the same university as me and I'm going to meet another one tomorrow at LaKademy (Latin America Akademy) tomorrow. Aside from that, I would like to mention that I'll be mentored by two experienced floss developers: Dominik Schmidt and Teo Mrnjavac. The former will be helping me with Tomahawk matters while the latter will be guiding me in the Amarok side. So, that's all for this post. All hail the KDE!!! P.S. : Just don't forget to keep in touch with this blog. Stay alert, the next steps will be reported here and I sincerely hope to receive feedback from interested people. Please, let me know your opinion!!! This is definetly interesting task and I hope it goes well. Congratulations and good luck! 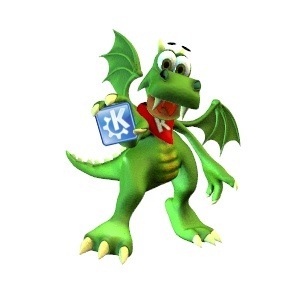 I'll be working with KDE Games. My project consists of porting at least six games to a more modern graphics framework. QGraphics, being more precise. I found your blog from your profile on Twitter and sent to you a message asking for help regarding the tax form requested by Google. It's my first time on GSoC and I'm kinda lost in some aspects. Just sent you the link for the tax form. By the way, It's amazing to see more Brazilians interested in FLOSS and KDE.